Data is an essential component of your business, and Data Integration is an important component of any environment. Project X’s experienced team of data integration experts leverage the latest services, tools and technologies to manage and action your data. Master Data Management manages core business data domains (customers, accounts, products) that have a significant impact on important business processes. The Enterprise Data Model is the starting point for any discussion on data management. It is the foundation for metadata and documentation and is key to data governance and stewardship. More than 50% of the cost of all development work for any Information Management (IM) project comes from ETL design and development. 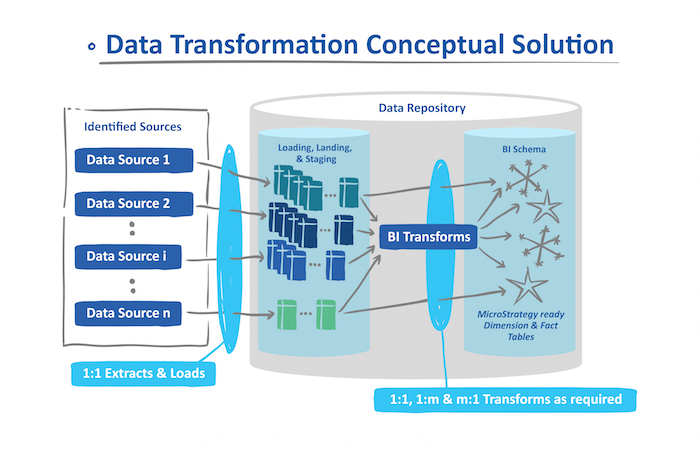 ETL is especially critical in data analytics where more than 80% of all work is spent on data preparation, including integration. Project X Ltd delivers ETL services. Acknowledging that data movement can be complex, we understand that all organizations are unique and require different approaches and tools. Common amongst all of them is the approach to understanding data sources, targets and the mapping of data between them. Project X Ltd would love to help with your next data integration projects. Reach out to chat with us here.